Walking, jogging, and running is a fun and common exercise for a lot of people. It’s a great way to relieve stress, burn calories, and help you stay active. The problem is that it isn’t always possible to walk outside due to a number of different reasons. For example, it may be too hot, too cold, or there could be severe storms. You may not live in a neighborhood that is safe for walking either due to traffic or other concerns. Of course, you can try walking laps around your living room, but it can be hard to keep your heart rate up in such a situation. What you need is a treadmill. The most basic treadmills will give you a flat surface that allows you to walk in place at a variety of different speeds. As you go up in price point and features, you start to see ones that allow you to change the elevation or even monitor your heart rate. Many of them even have programs built into them so that you can get variety in your workout. Of course, the best treadmills that are made for your home will fold up once you have finished using them so that you can store them easily. 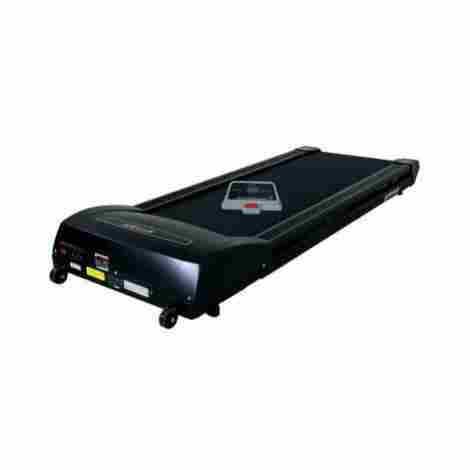 When you are looking for a commercial grade treadmill for your home, you will want to look at the ProForm 2000. This device has been designed to give you the highest rate of calorie burn so that you look and feel your absolute best while you are working out. It has all of the features that you expect to find in treadmills that you see at the gym. Using Google Maps, you can draw a route anywhere around the world. The elevation of the treadmill will adjust automatically to mimic the terrain of the area that you picked. You can run up to 12 miles per hour using the ProForm 2000. This is the same pace as running a mile in just five minutes of time so it's great for training. You will need to plan on spending an amount that is much higher than the average price on the ProForm 2000. This is because it's a premium unit that has all of the commercial grade features that you would expect. It's powered by a powerful 3.5 CHP commercial grade motor. You can use this device with an iFit compatible device. It's powerful enough to have you run at 12 mph. Routes built with Google Maps will adjust the elevation automatically. You can fold it up to store it in your home easily. The iFit program is a separate purchase that is promoted heavily on this treadmill. Users have reported that the incline starts to lose its calibration. Anyone who spends their workday on a computer will appreciate a desk that gives them exercise at the same time. The LifeSpan fitness combines work with exercise by giving you a large laptop desk on top of a treadmill. This will let you get some exercise while you are working which reduces stress and helps you stay in shape while you get the job done. One of the main features is that is has a 38" x 29" desk for a laptop computer. It's large enough for laptops, keyboards, and even a wireless mouse or other desk items. The treadmill has sensors that detect your steps as you are walking or running on it. The steps are counted and sent to your phone using a Bluetooth connection so that you can track your progress. The LifeSpan Treadmill Desk is a premium piece of exercise and office equipment and is priced well above the average price for this reason. There are a lot of premium features that justify the price. It has been designed to be ultra quiet so that coworkers aren't distracted. The desk is large enough for a laptop and other desk items. You can monitor your progress using the Bluetooth connection and apps. The desk frame isn't attached to the treadmill so that it's stable. There is a cable management system for your power cords. Users have had issues with the auto-shutoff feature causing problems. Other reviewers have had problems with the smartphone application. The 300i is a great option for anyone who is looking for a great home solution for their workout routine. 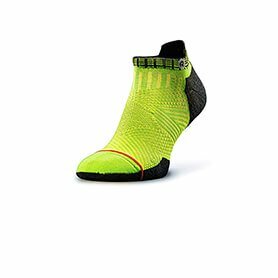 It has a large range of speed options and there is cushioning that will reduce the shock to your joints. You won't have any trouble burning a high number of calories thanks to the different combinations of speed and incline options. Most runners are aware of how impact makes their joints feel. The ProForm 300i has cushioning built into it that will reduce the amount of impact on your joints which helps to reduce injury. Tracking your heart rate is important, which is why you will love the fact that the 300i has a heart rate monitor built into it so that you can stay in your target heart rate. You will be able to purchase the 300i has a price that is lower than the average price. This makes it a great option for when you want to save. It's powered by a 2 CHP motor that is long lasting. There is cushioning that helps you run more comfortable and reduces injury. You can track your heart rate using the EKG grips. The speed range is between 0 to 10 mph. You can adjust the incline as needed to burn more calories. Some reviewers have had issues with it getting stuck in incline mode. Other users have reported that it changes speed unexpectedly. The XTERRA TR150 is a great home option for when you need to stay in shape. It has everything that you need in order to maintain a healthy heart and a toned body. 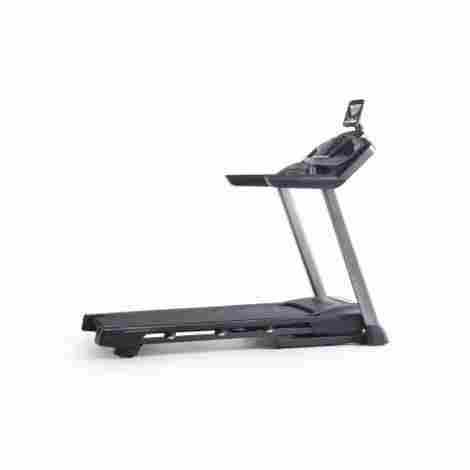 Some of those features include heart monitoring, incline, and a large running surface. You will love how easy it is to fit it in your home thanks to the fold-up design. The ability to fold it up when you are not using it is important because it means that the TR150 will not require as much space in your home. It has three different incline settings. They are manual inclines which hold the price down and also means that it won't get stuck in incline mode like auto incline treadmills. You will be able to purchase the TR150 for a price that is well below the average price. The low price makes this it a great in-home solution for your exercise needs. There is an LCD console that you use to track your progress. You can quickly adjust your speed using the quick touch keys. It has three different manual incline settings that you can pick between. You can fold it up when you have finished using it. There is a heart rate monitor that tracks your pulse. Users have had issues with the screen not turning on. Many users have had issues with error codes causing it to not work. Here is another great solution for an office or home office setting. You can slide this treadmill underneath your desk so that you can easily stay in shape while you are working. This will help reduce stress and make your lower back feel better since you aren't in a chair all day. Activity will help you feel much better throughout your day. The track is nice and wide. This will give you lots of room to walk so that you don't accidentally fall off of the treadmill while you are using it. It's been designed to work with standing desks. This means that you can use just about any standing desk with this treadmill so that you can build the perfect office space. You will be able to purchase this item at a price that is slightly lower than the average price. It has a lower price because there isn't any display tower. The controlling console fits on your desktop for easy use. It works with just about any standing desk that you can buy. The track on the treadmill is wide and gives you lots of room. It has a safety key that will turn it off. You can specify your speed in 1/2 MPH increments. It can only be used for walking and not running. Some reviewers have reported problems with it making loud noises. The 600i is an ideal solution for your home workout equipment. It comes fully loaded with plenty of high-end features that will help you get the best from your workout. Some of those features include a folding design, heart rate monitor, and workout fans. These features will help you get the best out of your workout each and every time you use the 600i. Anyone who spends time working out knows that you can start to get hot and sweaty. This unit has a fan built into it that will create air movement and help you stay cool. The space saver design helps make it into a great option for your house. You can fold it up when you have finished using it which will help reduce the amount of space needed in your home. You will need to pay a price that is higher than the average price for the 600i. This is a premium unit that has high-end features that justify the higher price. It has a sliding scale warranty on the frame, parts, and labor. There is an EKG sensor that is built into the grip. You can use the fan to help you stay cool. The space-saving design helps you to save room in your house. It's compatible with iFit and links up with Google Maps for custom workouts. Users have reported that it's really hard to assemble properly. Other people have reported that the console fails within a year. The 505 CST is packed with plenty of high-end features that will make working out at your house a breeze. It has built-in workout routines as well as speed controls. You will love the music port that you can plug your smartphone into so that you can listen to your favorite workout music. You can just fold it up when you have finished using it. There is a music port where you can plug your smartphone into and listen to music. This allows you to exercise to your favorite workout playlist so that you stay motivated. You won't have any trouble moving it around your house thanks to the roller wheels. They are located on the bottom of the 505 so that you can push it around with little effort. You can purchase the 505 at a price that is slightly lower than the average price. The lower price makes it an affordable option for something that you can use at the house. It has incline control that goes from 0 to a 10% incline. It has a maximum speed of 10 miles per hour. You can monitor your heart rate by using the grips. There are rollers that you can use to move it. It has a fold-up design that will help it save space. People have had problems with the belt not staying centered. Other reviewers have had issues with the incline breaking on it. Sunny Health and Fitness make a lot of home exercise products that people have come to know and trust. The T7603 is one of those many products that are perfect to use when you can't make it to the gym or the fitness club. It's easy to take out and put away when you need to use it and you will love the many features on it. Since you can't manage what you don't measure, this treadmill has a monitor that tracks your progress for you. It will give you important information such as calories burned and distance ran. The handrails have a built-in pulse monitor. You can use this monitor to help you stay inside of your target heart rate zone while you are exercising. You will be able to purchase this item at a price that is much lower than the average price. The lower price makes it perfect for use inside of your house. There are three different incline settings that you can use. It has nine programs built into it for workout variety. The top speed is nine miles per hour on this treadmill. You can use the controls on the handrails to control it. It has a fold-up design and roller wheels on it. Users have had issues with the display console breaking on them. Other people have had issues with the speed being inconsistent and even jerking. The Confidence Treadmill is perfect for when you are looking for something that is simple. It has magnetic resistance where you can choose between different resistance settings. This will help you burn more calories so that you can get into shape or stay in shape. You can fold it up easily when you have finished using it since it has a space saving design. You power the belt on it and it uses magnetic resistance to make you work harder. This allows you to use it for walking, running, or jogging and you can pick between different settings. It folds almost vertically which helps you save a lot of space. It's locked upright with a pin and you can move it around your home with the roller wheels. You will find this item sold at a rock bottom price. The low price is because it's a basic unit that uses magnetic resistance rather than motors to control the belt speed. There are eight different resistant levels that you can choose from. It stores upright and is locked with a pin. You can easily move it around your house by using the wheels. There is a computer that monitors calories, speed, and time. The tread is 14" wide and 39" inches long so it's great for walking. It's hard to balance on it when you are using it hands-free. The belt tends to shift a lot which makes it hard to use. The T012 is a great option for people who are looking for a lot of value in their purchase. 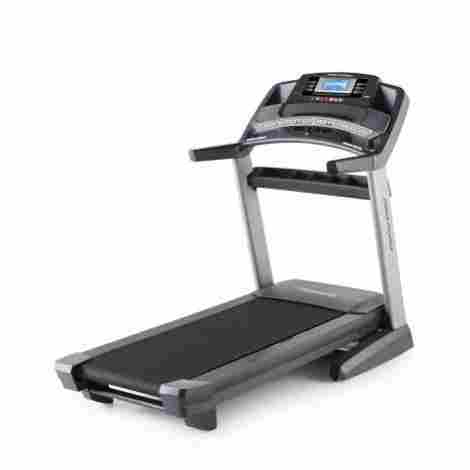 It has many features that you expect to find in premium treadmills. Some of those features include automatic incline, Bluetooth connectivity, and portability. This makes it great for anyone who is looking for the ideal addition to their in-home fitness room. You can control the incline with your fingertips. It has fifteen different settings that you can use to adjust the incline as needed so that you can burn the maximum amount of calories. Most folding treadmills have a hard drop where the treadmill isn't supported while you unfold it. 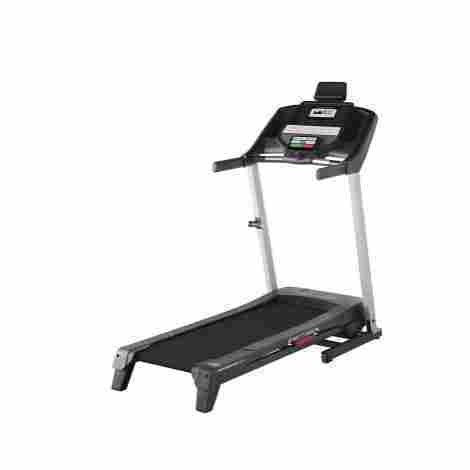 This one has a soft drop system that assists you while you are unfolding the treadmill to reduce injuries. You will be able to purchase the T012 for an average price. 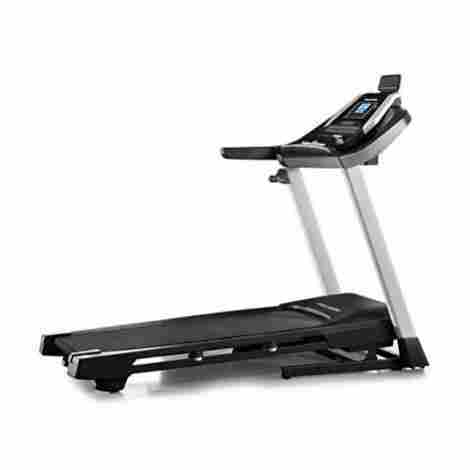 This makes it a great purchase since it has many features that are typically found in higher priced treadmills. You can monitor your heart rate using the grips on the treadmill. It has fifteen different incline positions that help you get the best workout. The top speed is nine miles per hour. You can play music by using the Bluetooth speakers on it. It has a soft drop system that helps you unfold it safely. There aren't any wheels on the front which makes it hard to move. Users have had problems with it making loud noises. Treadmills are a great way for you to burn calories and strengthen your heart. The problem is that many of them are too expensive to justify purchasing them for your house, which means that you have to turn to the health and fitness club. Most people agree that it isn’t always convenient to get the health club which is why it’s nice to purchase exercise equipment that is suitable for your house. Home treadmills are one such option. It’s not always possible to walk outside because you can’t control the weather. This means that you will need to find some other form of exercise that will help you have a strong and healthy heart. A treadmill is perfect because it provides you with a walking and running space in the comfort of your own house. This means that you can train for a marathon or just go for a walk without having to go outside. It’s perfect for when it’s too hot or cold outside and many people even listen to music or watch TV as they exercise. 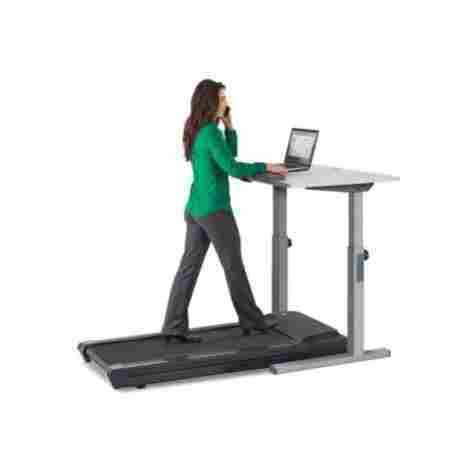 There are even desk treadmills that support a laptop computer so that you can walk while you are working your day job. You can generally categorize a treadmill into one of three different categories. 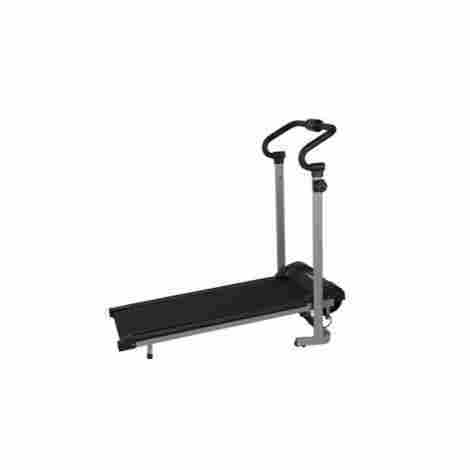 The first category is the budget folding treadmill, followed by the folding treadmill. The last type of treadmill is the non-folding treadmill. They have different advantages and disadvantages that you will want to be familiar with prior to purchasing a treadmill. The folding style treadmills are meant to give you more space in your house by folding up when you are not using them. The budget variety tends to be small and won’t have many features. They are best if walking if your choice of exercise but generally aren’t suitable for running because they tend to be built of light materials that aren’t as sturdy. The more expensive variety tends to have more features such as heart rate monitors. The heavier duty construction makes them more ideal for people who walk or run. If you plan on doing intense running or training, then you are going to need to go with a non-folding treadmill. This is because these treadmills are the strongest and therefore the best suited to the stress that running puts on them. For example, they have the highest speeds, highest inclines, and the best warranties. You may also want to consider purchasing this kind of treadmill if you are a heavy person as well. Non-Folding treadmills are the closest to what you will find in a fitness club so you will pay the highest price for them. 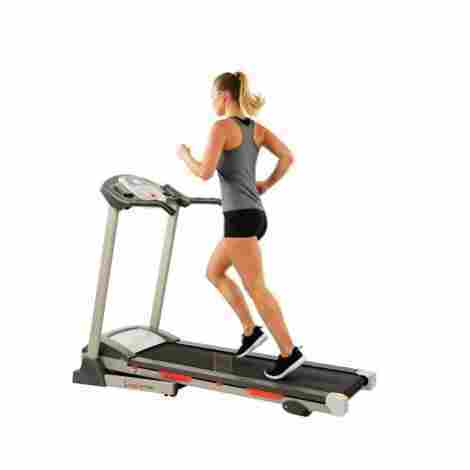 They oddly tend to have fewer features than a folding treadmill so you are going to need to keep this in mind if you are somebody who is attracted to a lot of features as most of the price is due to the high-quality materials. Just like anything else you purchase for your house, a treadmill requires enough room so that you can use it. That means you are going to have to consider the size of the treadmill and make sure that you have a sufficient amount of space in order to have one in your house. This may mean that you have to rearrange the furnishing in your home in order to make room for the treadmill. 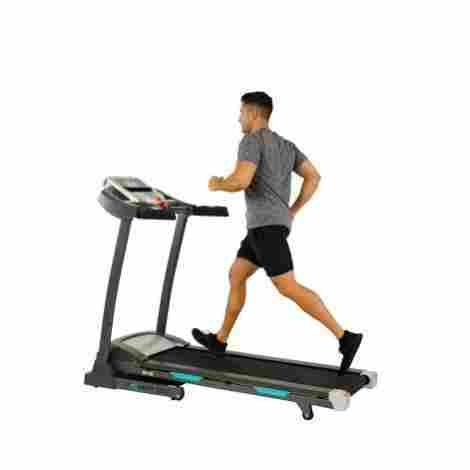 If you are purchasing a folding treadmill, then you are also going to have to think about where you are going to store it when it isn’t getting used as well. One thing that you have to look at is the length and the wide of the treadmill. 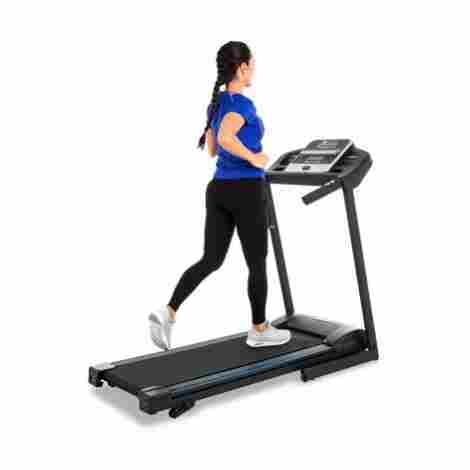 The average treadmill is 77″ long and 35″ wide but this is an average which means that you have to read the actual length and width requirements for your treadmill in order to make sure that there is enough room for it. You are also going to have to make space around the treadmill as well so that you can use it safely. When you set up a treadmill, you need to leave about two to three feet on both sides of it. The area behind the treadmill should be between six to eight feet. This clearance is for safety reasons because you can lose your balance and fall off of it while you are walking, running, or jogging. If you do not leave enough room around it, then you are prone to falling into something which can cause damage and additional injury. For this reason, you have to make sure that your home is large enough for your treadmill. Safety should always be the number one concern when it comes to home exercise equipment. As you may suspect, a treadmill isn’t any different. This is because treadmills can cause injuries which means that you need to make sure that there are features that will help minimize the risk of injuries. The less chance you have of getting hurt, the more likely you are going to enjoy using the treadmill. One of the key safety features is an automatic shutoff. This is usually implemented in the form of a magnetic key that you attach to your clothing. If you fall off of the treadmill, the key will detach and it will immediately shut off power to the motor which can help to reduce the chances of injury. You should never purchase a treadmill that doesn’t have this feature since it can cause serious injury if the belt continues to turn against your skin if you fall off of the treadmill. Some treadmills have cushions built into them that will help reduce the impact you feel from running. This is a great feature to look for in a treadmill because running, jogging, and even walking can stress the joints and muscles in your lower body. Cushion will help reduce the amount of impact that you would otherwise feel which helps reduce the risk of repetitive injuries. Other treadmills have sensors that will turn it off if you step off of the belt. This is another useful safety feature that will help to reduce the chance of injury in the event that you step or fall off of the treadmill. Of course, there are other safety features that can be found on a treadmill so you should do your homework and make sure that you get a treadmill that is safe. Fitness experts agree that you need variety in your exercise routine in order to get the best results. This is why you should consider getting a treadmill that has different exercise programs programmed into it so that you can have variety in your workout. You will notice that you will have much better results when you can pick between different programs that you can walk, run, or jog too. One of the most important workout programs is a heart rate program. This is a special program that controls the speed and elevation of the treadmill based on your heart rate. Your treadmill will need some way to monitor your heart rate which will usually come in the form of a chest strap, EKG grips, or some other device. This program is important because you won’t work too easy or too hard when you exercise according to your heart rate which means that you are more likely to be successful. More advanced treadmills connect to the internet or a mobile application and let you add or remove workout programs. This can be great for when you are looking for something that is interactive so that you can have more variety in your fitness program. The most advanced programs can even control the elevation and display images so that it looks like you are walking in a certain area. For example, some higher end treadmills show hills or mountains when the elevation is high and sidewalks when you are walking flat. This can give you the feeling of walking outside even though you are indoors which some people find to be motivating. Due to these benefits, many people choose treadmills that have exercise programs. There is an age-old saying that says that you can’t manage what you can’t measure. This means that you are going to want to look for a treadmill that collects statistics about your workout routine. Furthermore, the treadmill needs a good way to display and report the collected information back to you so that you can use the information. When it comes to collecting metrics, you are going to want to look for a treadmill that collects some of the more common metrics. Some of those metrics include things such as calories, time, distance, speed, and elevation. It’s almost always a good idea to look for a treadmill that collects your heart rate as well since this can help you control your workout. Modern treadmills also need a way to report this information to you so that you can view it. The most common means is a display panel. Most of the time, these are LCD panels that also have controls that allow you to control the speed and the height. You should make sure that such a display is easy for you to read as well as clean. It’s also important that you are able to read it in low light conditions as well. You may also have a treadmill that interfaces with a smartphone application. If you plan on using your smartphone or tablet with your treadmill, you are going to need to make sure that it’s compatible with your device. That means that the application needs to be available for your phone’s operating system. Even if you have checked the requirements, you may still experience problems as this is an emerging technology that is still prone to bugs. Q: When were treadmills invented? A: It’s believed that the treadmill was invented in the first century AD by the Romans. They used it to power a crane so that heavy objects could be moved around. Many treadmills were used to power grain mills or other devices until the motor was invented. They were powered by either people or animals depending on the design of the treadmills. The first exercise treadmills were invented by William Staub in the 1960s and called it the PaceMaster 600. Q: What are some advantages of using a treadmill for exercise? A: Treadmills have a number of advantages that are used for exercise. One advantage is that the tread is cushioned which will lower the amount of impact that you will feel while you are running. Another advantage is that you can run consistently uphill and at a constant rate. Many people like being able to watch TV or work on a computer while they are using a treadmill as well. You can also measure your progress such as burned calories. Q: Does exercising with a treadmill have disadvantages? A: Treadmills do have a few drawbacks. One drawback is that you have to run at a set pace which can feel unnatural and may make you lose your balance. Another issue is that many people start to lose interest in their treadmill and stop exercising altogether. Finally, a treadmill can create poor running habits which can make it harder on competitive runners who need to compete in a competition. Finally, they can cause some runners to kick the front of the treadmill. Q: Are treadmills used for things other than exercise? A: One common use for a treadmill that isn’t related to exercise is the cardiac stress test. This is a test that essentially measures how strong your heart is and can be used to diagnose heart disease. Many physical therapists use treadmills to help rehabilitate patients as well. Animals can also be walked and exercised on a treadmill as long as they are trained to do so. For example, some people walk their dogs on a treadmill when they can’t go outside. Q: Why should you monitor your heart rate while using a treadmill? A: It’s a good idea to monitor your heart rate because it will make sure that you are working hard enough without working too hard. You will burn more calories when your heart rate is elevated because it requires more energy. For this reason, you want to make sure that you are moving fast enough on the treadmill to get an elevated heart rate. However, if you move too fast, you may overexert yourself which can lead to you not finishing your workout.